You will have noticed the difference in the name of the development group this year moving from the Differentiation to Different & Challenge. That is because Differentiation is all about Challenging each individual student. Lev Vergotsky was a prominent psychologist who developed the theory of the Zone of Proximal Development. It states that if a task is too easy a student will become bored and switch off making little progress, yet if a task is too difficult a student will become frustrated and disenchanted again making little progress. 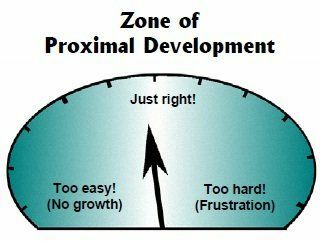 The art of teaching is to aim for a student�s Zone of Proximal Development, where they will be engaged in a task they find difficult yet achievable. There are many ways students are challenged at Highcliffe using a variety of teaching strategies that this blog will champion over the coming weeks and months; My Favourite No, Brain Box, Mystery Tasks, Challenge Dice and Collaborative Work to name but a few. One method the development group is investigating at the moment is the use of cognitive conflict. Cognitive conflict exposes students to situations where some of their existing understandings about an idea or a topic no longer hold. One method of exposing students to cognitive conflict is the use of Challenge Cards, however it can be done equally well through questioning. 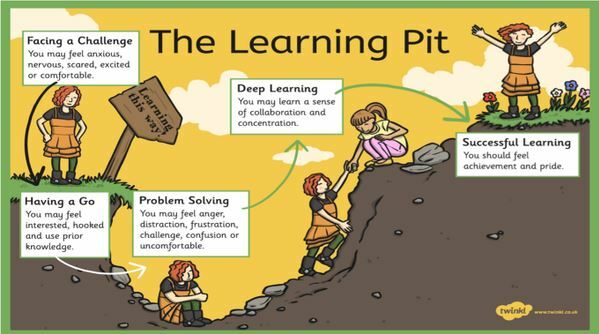 James Nottingham�s Learning Pit is an excellent example of how to use questioning to challenge students. See his video here.